For this marathon I thought it would be fun to watch all the Dirty Harry movies. All are welcome to join in... or if you don't have time now... just add to the thread once you get the chance! 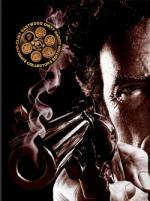 As well as the Documentary Clint Eastwood: Out Of The Shadows. 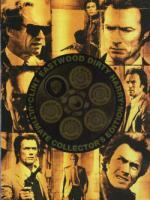 In a signature role, Clint Eastwood plays a streetwise San Francisco police detective who gets the job done. A rooftop sniper (Andy Robinson) named Scorpio has killed twice. Harry Callahan will nail the perp...one way or the other...no matter what "the system" prescribes. Filming on location, director Don Siegel made the City by the Bay a vital part of one of the best police thrillers ever made. This is one of the movies I have seen before... but it has been many years since. I enjoyed it a lot. Has a good story... as well as some good action. I will say that for me... the movie didn't age well. Well at least I remember it being slightly better then I feel it is today. Clint Eastwood was the man... and is still the man. I do think he has improved as an actor since this movie though. Not that he was bad in this... as I thought he was very good. But I do believe he has grown as an actor and has improved in his movies since this one. 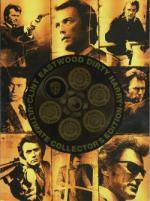 'Dirty Harry' is Clint Eastwood's first outing as the infamous hardnosed Police Inspector Harry Callahan in which he must hunt down a psychopathic serial killer. The killer who calls himself 'Scorpio' demands $200,000 from the San Francisco Mayor or else he'll kill one person a day. 'Dirty Harry' is based on a real life serial killer going by the pseudonym of 'The Zodiac Killer' who was never caught. On a more trivial note the 'Dirty Harry' film appears in the David Fincher film 'Zodiac' based on the same serial killer. AFI 1971 Won 100 Years... 100 Quotes (2005) "Quote": You've got to ask yourself one question: 'Do I feel lucky?' Well do ya punk. I have never seen any of the Dirty Harry movies before. Though this movie was okay, I probably wouldn't have sought out the sequels if I didn't have the boxset already. 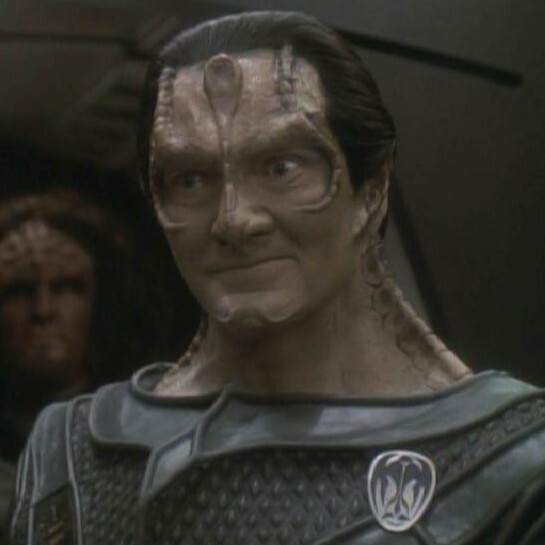 Garak was great as the psychotic killer. I had to think of Sledge Hammer (who his a parody of Harry) throughout the movie. These two are really quite similar. Even the way they dress. In the beginning I had to think of Dr. Evil from Austin Powers. In the scene where they hear about the ransom of $100.000 and are arguing that they never could get that kind of money. Underworld figures are being murdered all over San Francisco. One by one, criminals who have eluded prosecution are getting the justice they deserve, justice you'd think Detective Harry Callahan might approve of with a tight-lipped smile. But if you think so, you've misjudged Harry - and so have the killers. This is the first time I seen this movie. And I must say I enjoyed every minute of it. I do have one problem. And this is nothing to do with the movie itself. I made the mistake of reading the overview for this movie in DVD Profiler before watching it. And what happens? I get the movie spoiled. The second paragraph (which I didn't add above... just in case) tells us who the killer(s) is/are. The beginning of the movie gives more then one possibility and I normally try to figure this type of thing out before the reveal in the movie... but I didn't have the opportunity to do this here. I really think I could have enjoyed this one a little more if it wasn't for knowing this ahead of time. Now I must remember not to read the overviews before watching each movie. Could be a cross reference I am missing: Who is Garak? When Detective Harry Callahan stops a liqour store hostage standoff in his own no-nonsense way, he gets busted back to personnel. But not for long. When terrorists rob an arms warehouse and go on a blood-soaked extortion spree, San Francisco's leaders quickly seek out Callahan: 'The Enforcer'. This is the first time I ever seen The Enforcer. This time we have a familiar face as Calahan's new partner. Tyne Daly who played Det. Lacey in Cagney and Lacey. While I liked the story... it was slightly less enjoyable then the first two movies. Not enough to give it a lower the score but I still preferred the first two over this one. This is the first time I seen this movie. This one has Sandra Locke in it. She is someone I completely forgot about. If I remember right she was in a good handful of Eastwood movies. Though this is the only movie I have with her in it. I enjoyed this one. It is a good revenge story. definitely worth the time put in to watch it. This is the first time I seen this movie. This one has Sandra Locke in it. She is someone I completely forgot about. If I remember right she was in a good handful of Eastwood movies. Oh... is that what it was? Come to think of it I think I do remember hearing there was something between the two. I remember there being a huge mess between them once he ended the relationship. I'm thinking she even sued him for something...can't remember what now. And her career wasn't that great even before it ended...I really only remember her being in some of his movies and I think that stopped even before the relationship ended. I saw an interview with her once...she had written an autobiography and I think she said she had done some directing.